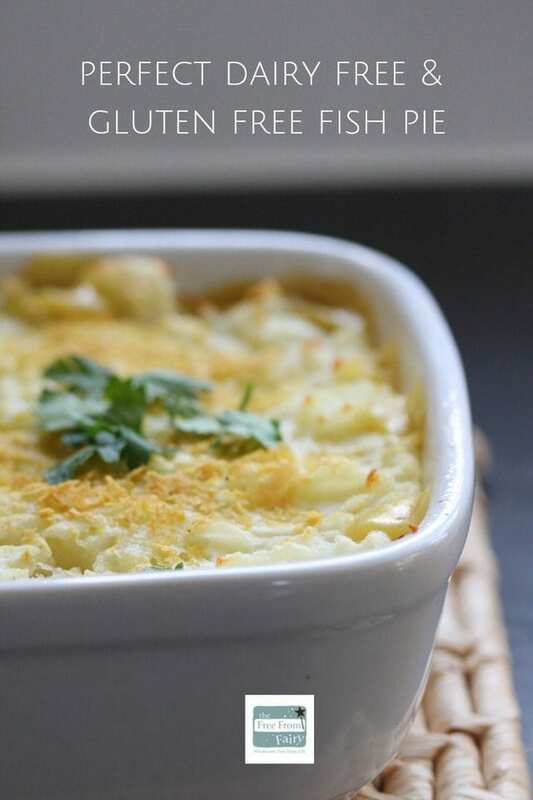 Dairy Free Fish Pie (Gluten Free) | The Free From Fairy. 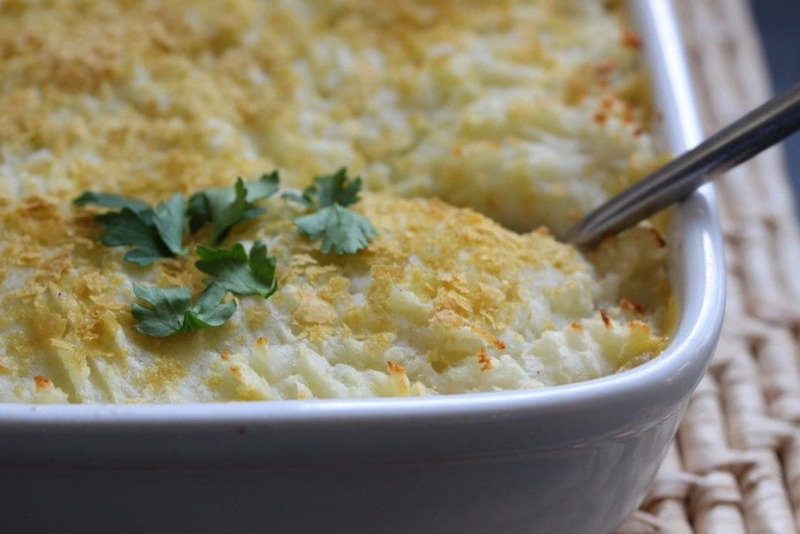 This dairy free fish pie is comfort food at its best. Of course it’s gluten free too and it’s less complicated to make than you might think. OK this is the ultimate in comfort food: gluten free and dairy free fish pie. 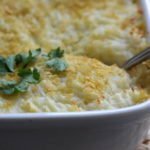 How do you make a fish pie dairy free? It’s been in the making for a while. I adore fish pie but I no longer adore the affect that dairy can have on me. For years I’ve made the Jamie Oliver fish pie recipe from Return Of The Naked Chef. However it is full of cream and cheese which doesn’t agree with me or ‘Roo’. 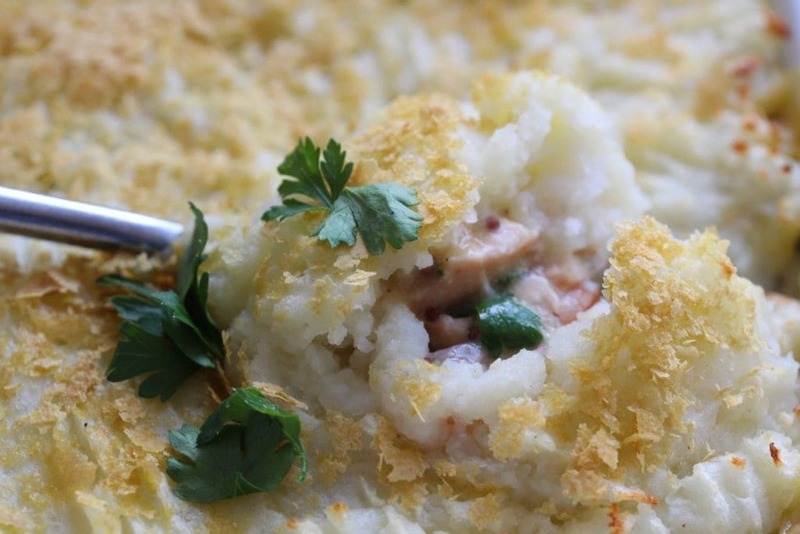 This dairy free fish pie is my dairy free version of his recipe. I use nutritional yeast to bring in the flavour of cheese, and gluten free cornflour to make a white sauce. If you had a bit more time (and no gluten free cornflour) you could make a traditional roux with my wholegrain rice free and gluten free flour. Use your preference of dairy free milk to create the sauce, following a ‘standard’ recipe. 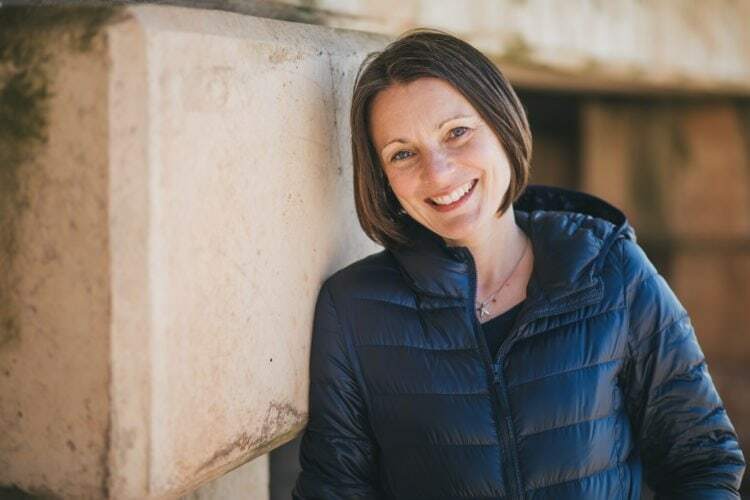 If you are unfamiliar with gluten free cooking, or you find that your baking always goes wrong then this article I wrote may help you. It explains why the gluten free flour you use is the most important element for successful bakes. Once you understand this I promise that you’ll always be successful with your gluten free baking. Along with a set of good saucepans you’ll need an oven proof dish (I love Le Creuset dishes because they are so long lasting) and a potato masher, or fork. I have to say that I haven’t yet found a good potato masher and normally use the method of cooking the potatoes for ages and then mashing with a fork. If you’ve found a good masher I’d love to hear about it! It really is that simple. But the result is a delicious pie that could be equally served to your family mid-week or at a dinner party. « What On Earth Is…Lecithin? Lovely photos Vicki. 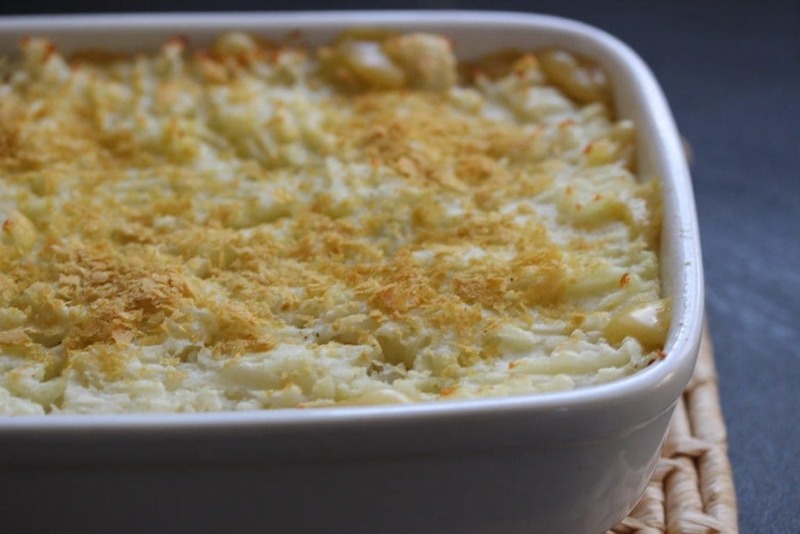 One of the things I love about Fish Pie is the cheesy sauce, but you may have me converting!!!! I know! I love the cheesy sauce too but alas it doesn’t love me! I do agree with you that we should make a balance with the amount of cheese and cream. It will be easier to eat and we can smell clearly the fish.